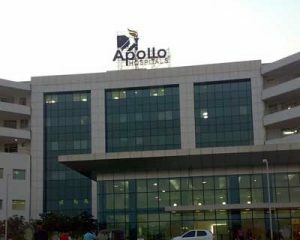 New Delhi: The Apollo hospital has joined the Landmark Group in its campaign titled Beat Diabetes to spread awareness about the disease, which is increasing at an alarming rate in the country. Under the collaboration, the campaign will be conducted across 100 selected stores across 15 states 29 cities in India for 10 days from November 10 to 19, the Apollo hospital said in a statement. More than one lakh people are expected to undergo the blood glucose test during the campaign period. The at risk individuals will be advised to contact a doctor for further assessment. The Beat Diabetes was initiated in 2010 as part of the Social Initiatives and since then more than 4, 97,670 people have been screened. “Indias economic boom has been accompanied by a meteoric increase in the number of people with diabetes and those at- risk for the disease,” Sangita Reddy, Chairperson and JMD Apollo Group, said in a statement. “Diabetes will be the worlds seventh largest killer by 2030 and intense, focus and joint effort from all stake holders within society is required to tackle it in India,” she said. India had 69.2 million people living with diabetes as per the 2015 statistics published by the International Diabetes Federation. More than 36 million people remained undiagnosed in India. Diabetes is known as a slow and silent killer because the disease can go undetected and people do not receive the necessary treatment in time.